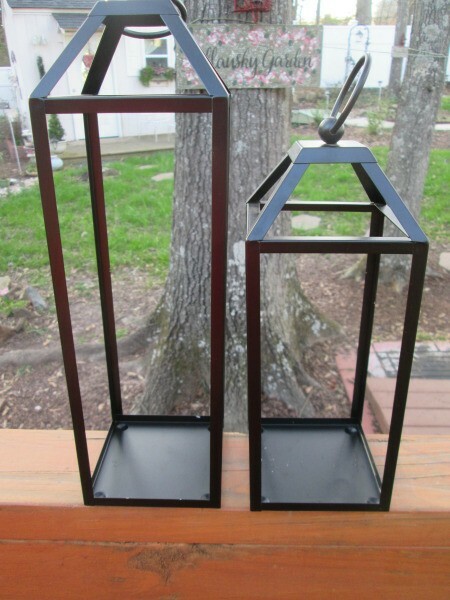 I found 2 lanterns in great shape at a thrift store for pennies! 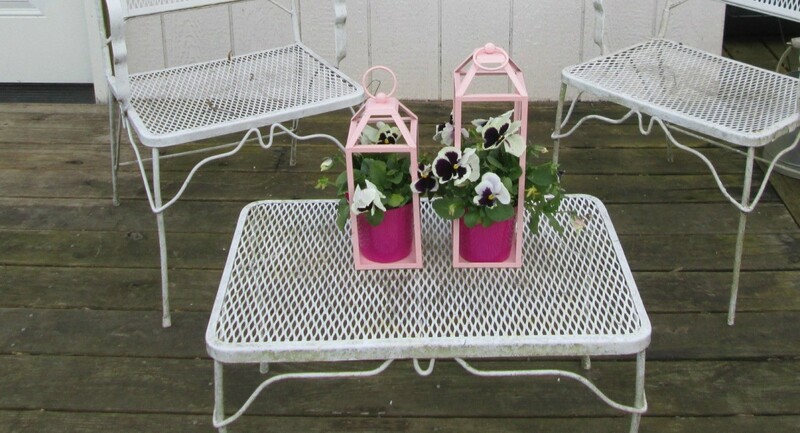 I wanted to transform these beauties into something other than lighting - planters! Although you find a lot of them are in black, I will transform them into a softer look. 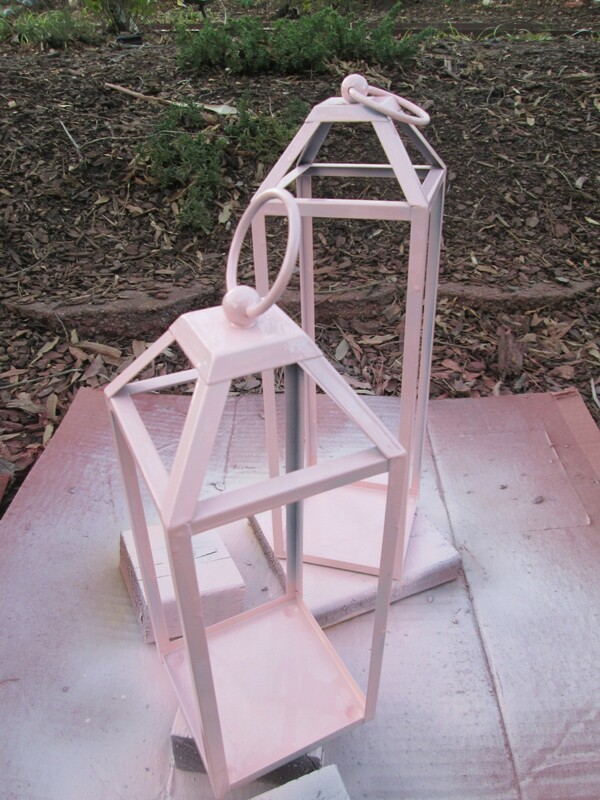 spray paint - I used Krylon ColorMaster paint and primer, in a gloss finish. The color is ballet slipper. Wipe your lanterns free of dust. Spray paint. Dry. You may need 2 coats of paint when using a lighter color. Allow to dry between coats. Make sure your pots have proper drainage. Drill holes if needed. Fill your pots with soil and plants. 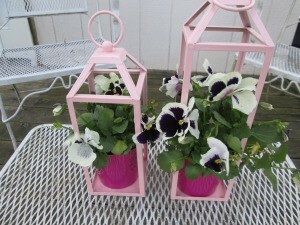 Insert the planted pots into each lantern. Did you use a diamond tipped drill bit to drill drainage holes or were you able to use something less expensive? I used a regular drill bit for this plastic pot, Thank you for your response! I'm finding more and more neighbors through ThriftyFun. I lived in Charlotte for a while. Also Lowell, just outside Gastonia. And I lived for a few years in Greenville SC. I did a bit of fishing on the Catawba river (mostly Brim). My question about drill bits may have sounded strange. 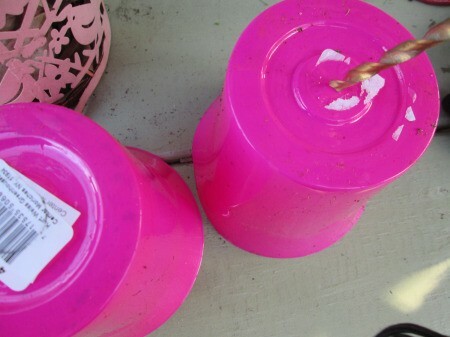 I didn't notice that the pots were plastic. I got some nice ceramic pots from Dollar Tree, but they had no drain holes. I went to get a diamond tip drill bit to make the holes and was shocked.